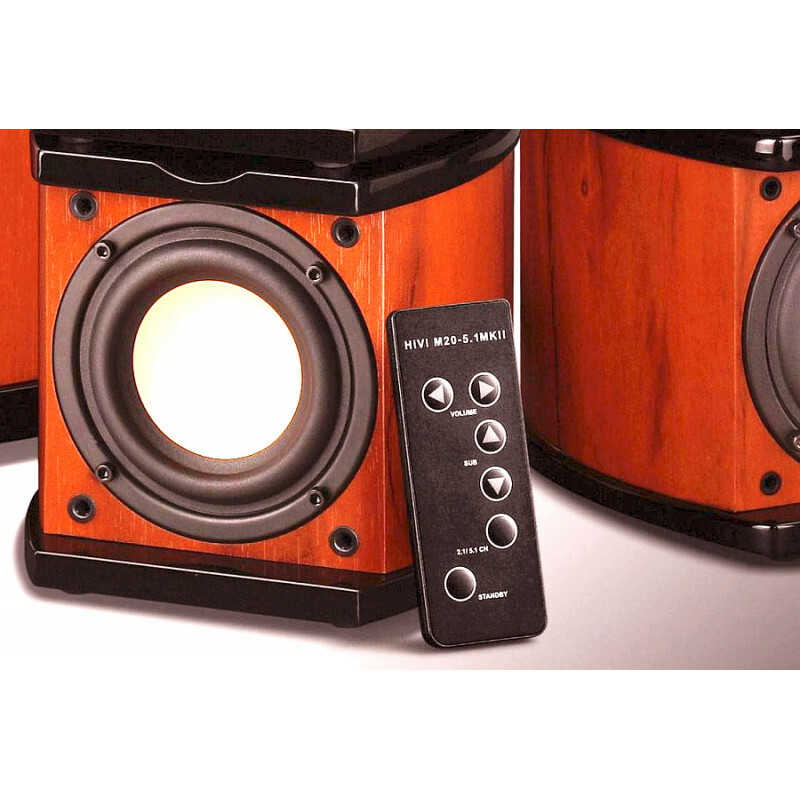 Top-class and miniature multimedia home theater system. Top-class luxury high strength piano panel low radiation box body. The leading fields optimize Small/Thiele parameter profession acoustics design. 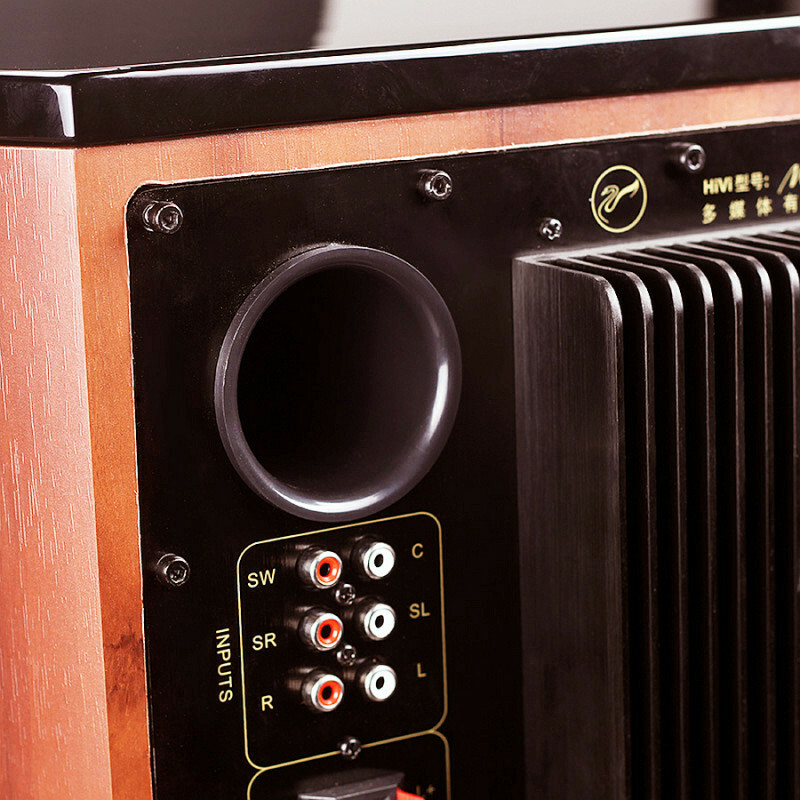 High power 5.1 channel hi-fi amplifier series makes theater smaller. Facilitate the humanized human body project study and control project design. Satellite loudspeaker: Swans 3-inch M3N magnesium alloy entire frequency band anti-magnetic loudspeaker unit. 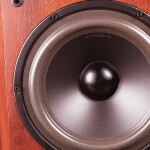 High power active ultra-bass: Swans active long stroke big trends 8-inch overweight bass. 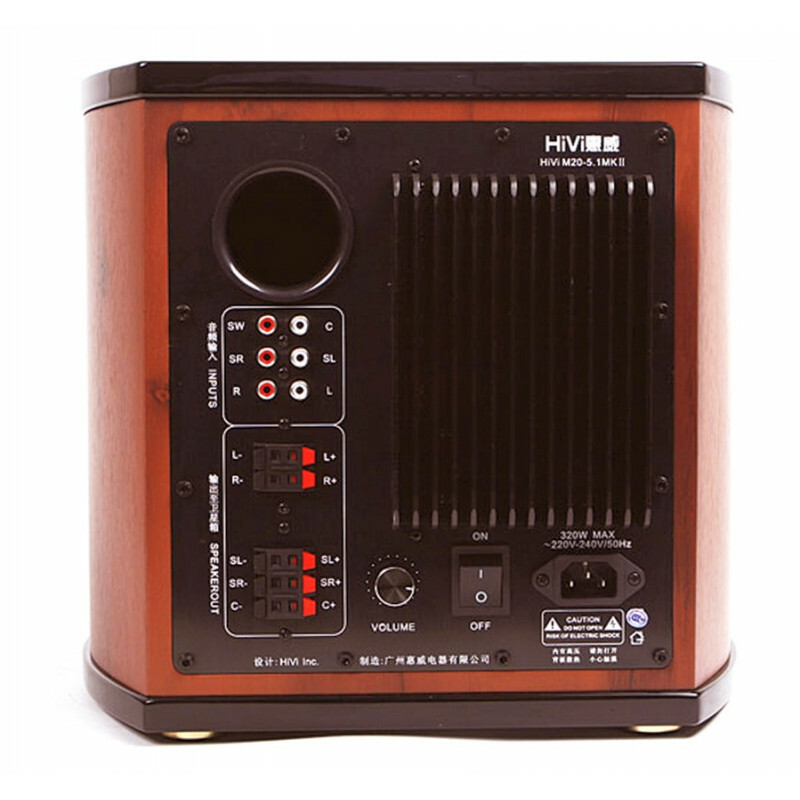 Satellite speaker amplifier output power: 15W x 5 channel. Suit for DVD, VCD, PC multimedia, MAC computer. As a professional speaker producer, Swans had taken the way of developing new electroacoustical technology for gaining the leading status of design technology unceasingly. 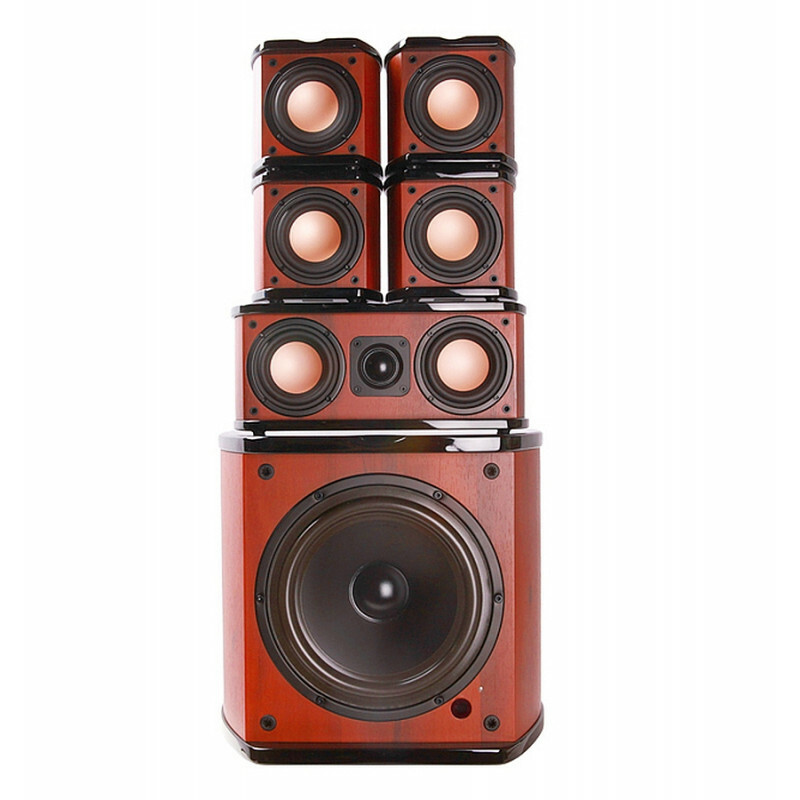 By right of its core products loudspeaker unit's technologies and predominant electroacoustical experiences, it have gained many successes in new products design aspects. 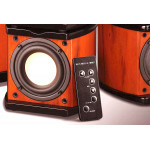 M20-5.1 multimedia home theater system is a new series of fine quality products of Swans. 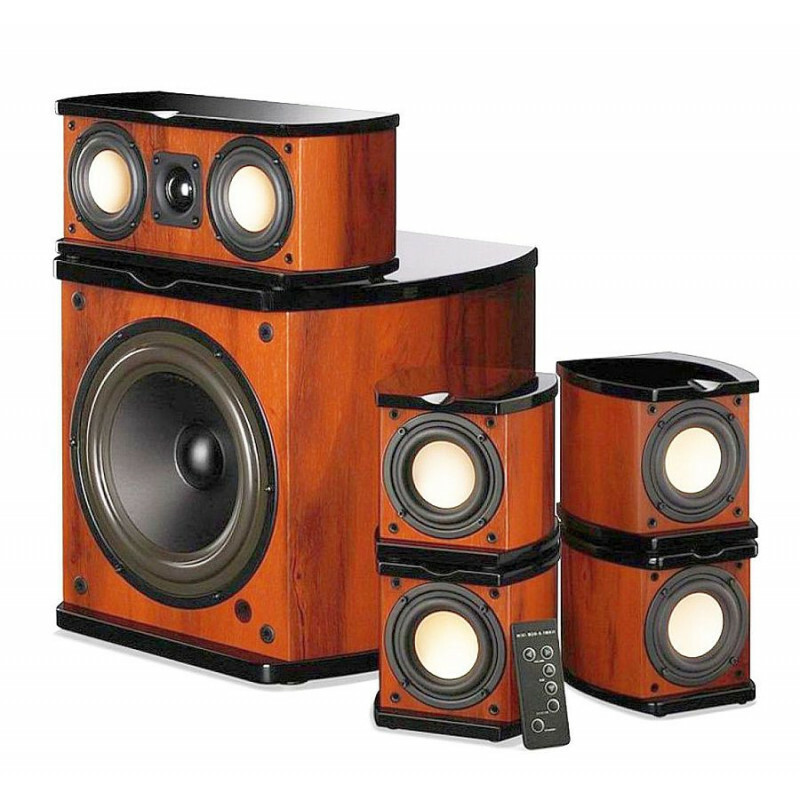 Swans M20-5.1 multi-media home theater system disposition includes 4 entire frequency band design miniature satellite speaker, a center-channel speakerM-20 5.1C and a active overweight bass artillery SS8I. 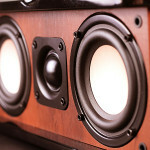 The center-channel speakers of M-20 5.1 are of the most famous center-channel speaker in PC market. 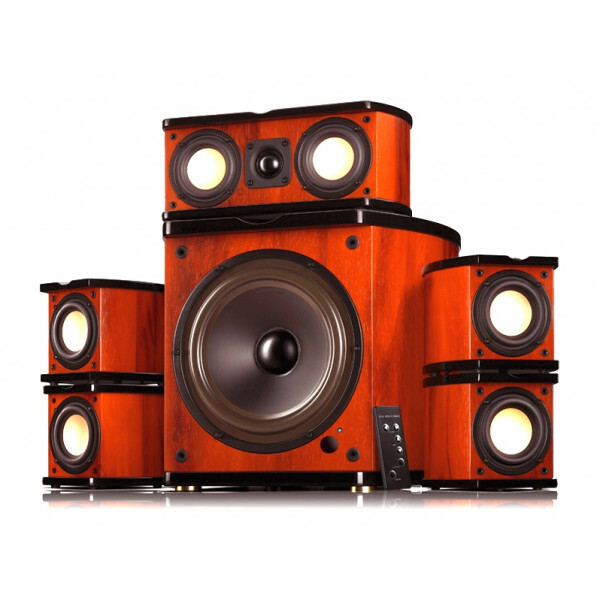 It is a real 2-way design style that can compare beauty with some large-scale home theater system. It applied Swans profession tweeter TN25, double 3-inch bass dumbbell style increased the deeper resolution of human voice and string music. 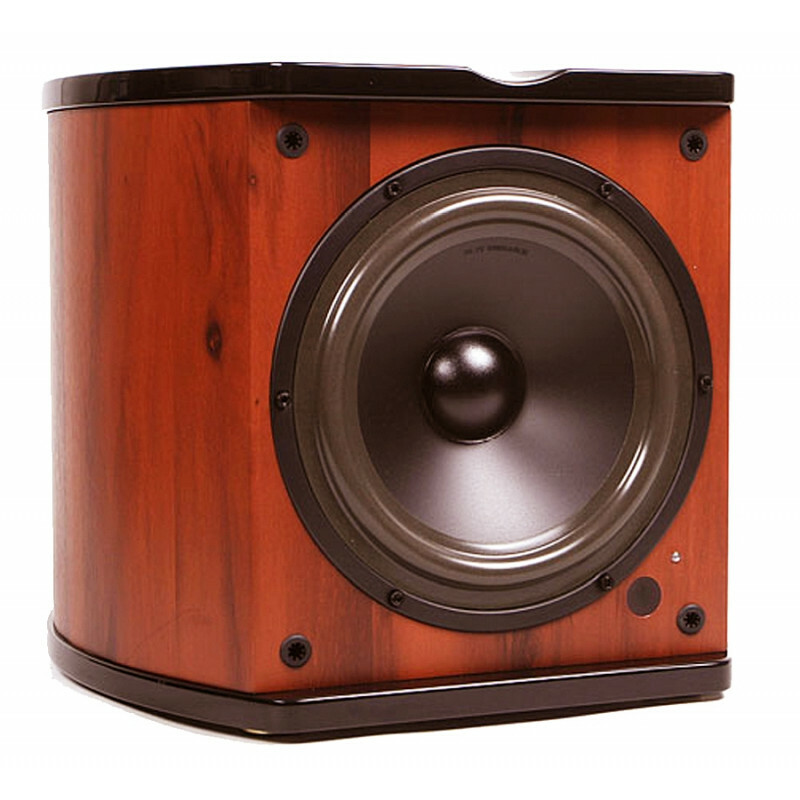 Matching with redwood pattern design, it not only shows its modern, but also real noble quality; on the back of this quality is excellent sound quality, which are: intensified thick bass, clear lucid midrang and delightful treble. The three phrase represents balance and full. M20-5.1 satellite speaker is totally the same with Swans famous M20W satellite speaker. The Swans speaker that used in active bass artillery of M20-5.1 is ultra big bass sound trough SS8II, it is a series of 8-inch ultra-bass loudspeaker, which applied Denmark P.M.K double deck isinglass high strength film membrane, high suitable and high soft fold ring and high damp dustproof hat makes wide-spread for low frequency and grand and thick. High performance ferrites magnetic circuit structure, non- eddy current loss Kapton voice coil skeleton and thermostable 5NOFC oxygen-free copper line voice coil can stand high power. Supporting big trends area and low-distortion ultra-long stroke linearity displacement design suit for home theater series active bass units. 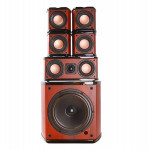 This 8-inch big caliber unit burst out forceful bass field and supplied continuously driving power for M20-5.1SUB, which has good controlling power and quick transient state response make the whole low frequency express forceful and convulsive. It has 13.5kg net weight. 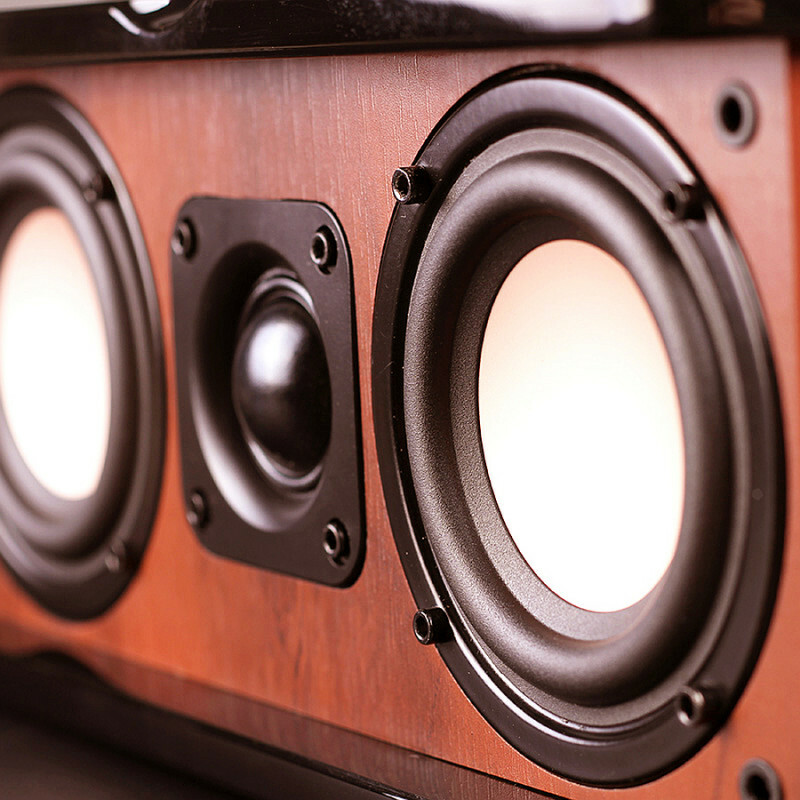 In specification aspect, no other speakers can compare with it in speaker markets. Unique box body base leading style cavity structure makes bass not only has full elasticity but also moving sentiment. Independent place for amplifier placement let the bass and amplifier mutual non-disturb and avoid sound for leaking air and cacophony. 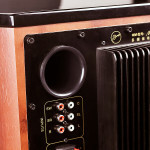 The connection and knob are arranged in the two sides of the large-scale radiator, every satellite speaker can be adjusted to perfect according to the sound environment in room or computer. On the radiator's above right are center-channel and 4-way satellite box output part, the 5.1 channel sound resource is linked to knob at right lower corner! 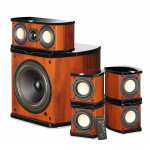 The fine graceful manufacture craft and full-bodied sound are widely praised. M20-5.1 multimedia home theater system shows the beauty of modern music that it stands the top of the home theater system, which give you impression of good manner and resolute nature. 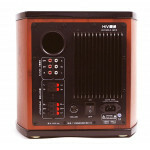 It can be used to film and music appreciation, games enjoyment, link DVD/CD play machine or TV game play machine, which make you indulged in the enchanting music and multi-channel surrouned experiences, and add one more niceness in your life.M20-5.1 make the playback level of multimedia home theater reach a much more realistic situation.